Soft, delicate Cancer man may seem too easy prey: after all, he is such a darling. Although this is a rather complex person, torn apart by contradictions. Dreaminess, romanticism, vulnerability — these qualities indicate his subtle spiritual organization. At the same time, Cancer-man is demanding, suspicious and even a bit vindictive. Belonging to the elements of Water testifies to his outstanding abilities. Strong intuition allows Cancer to see what is hidden from prying eyes. Therefore, even the most beautiful, incredibly courteous woman can not mislead him. Well-educated Cancer produces the most pleasant impression: from it you will not hear a rude word or indecent joke. In the society of this gallant man, women blossom. Even the most nondescript girl gets self-confidence. After all, he is able to discern in every woman something special, unique to her and no one else. To attract the attention of the male Cancer will be a sensitive, gentle person, but not shy and not silent. Still, he seeks to find a worthy partner, and not just a devoted fan. The chosen man of the Cancer man should inspire him, otherwise he will never get out of his shell. Cancer-man is emotionally unstable: easily upset, worried about trifles. It is quite capable of dramatically changing its decision and retreating from its intended purpose. She does not like hurry and bustle, so an active woman will surely draw his attention, but not for long. Man-Cancer is not indifferent to everything beautiful and will be glad to get acquainted with the spectacular girl. However, the initiative must come from him, and the woman’s decisive onslaught can only scare. Even if Cancer flirts and does not hide his interest, this does not mean that he has made up his mind. He needs time to think, otherwise he can not. A romantic man-Cancer in every partner is looking for his ideal. After all, love relationships are an important part of his life, and not just a way to have fun. This vulnerable man attracts sensitive women, ready to surround with attention and care. The Cancer man avoids any difficulties, does not tolerate scandals and hysterics. Do not continue to communicate with a nervous person who does not know how to behave in the hands. He likes to lead long unhurried conversations. Ready to talk on any topic, except for personal secrets. A man-Cancer is irritated by shameless people who ask uncomfortable questions. Will try to stop communication with an overly curious woman. Responsive Cancer treats with concern other people’s problems with great attention. He is often approached with requests, because he will not only listen, but will certainly help. A woman can easily tell him about her troubles and sorrows. He will try to justify the trust: he will happily take patronage over the frail woman. Cancer-man is wise, attentive and caring. It has a strong natural flair that protects against serious mistakes. The main thing: no falsehood and far-fetched pretexts to provoke his interest. The Cancer man easily recognizes the most skillful lie, and he does not know how to forgive. For the man-Cancer family — the meaning of life, it remains only to let him know that he met his fate. It is easy to like him, although to some he seems capricious and picky. After all, it would seem that minor things can seem to alienate a Cancer man: immodest behavior, talkativeness, petty lies. He’s just so decent that he does not accept rudeness and rudeness. Never continue to communicate with a woman who adores obscene jokes and vulgar outfits. Therefore, the seduction of Cancer should not begin with too obvious hints of a desire to get closer. The main thing: moderation and restraint in everything. Innocence and modesty itself. Cancer-man is emotional, but will not openly demonstrate his temperament. He tries to keep himself in hand and condemns too liberated women. The attention of the man-Cancer must attract a gentle person in a rather modest outfit. He does not like deep decollete and short skirts. Sensuality, passion must not be exhibited: love is a matter for two. Moderate initiative. A shy man-Cancer will hesitate for a long time before deciding to take the first step. And even completely rush to disappear from the field of view of a woman. Therefore, there is nothing reprehensible in the fact that the girl herself will talk to him. You should act softly and tactfully: no unnecessary questions and stinging comments. Admiration and compliments. This suspicious man may lose faith in himself because of one careless word. In general, Cancer is a determined person who knows how to achieve his goals. Just a woman should inspire him, give strength and charge positive emotions. Compliments and an enthusiastic look are the most effective way to please a male Cancer. Commitment to traditions. 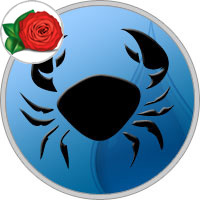 The Cancer man is a conservative, piously honors the foundations of his family and does not want to change anything. Therefore, a woman should express her consent to his opinion in every possible way: the most important thing in life is family and children. Too independent and free in her judgments the girl is not exactly interested. A sensitive man-Cancer will never offend a woman and will not cause her suffering. She can become for her a romantic hero and a true defender. This amazing person deserves the best woman in the world.